There's still time to snag the perfect gift! It's not too late to snag the perfect gift for all the good little vegans on your list! 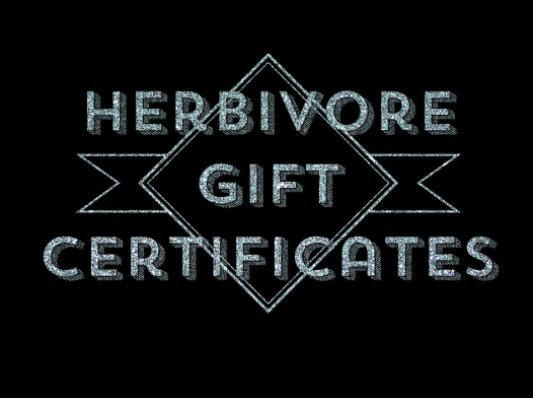 We've got you covered with online gift certificates that can be used for everything at www.herbivoreclothing.com! **Delivered via email within 24 hours of purchase. CLICK HERE TO GET YOUR GIFT ON!! P.S. WE'RE PRETTY FUN ON INSTAGRAM! GIVE US A FOLLOW!